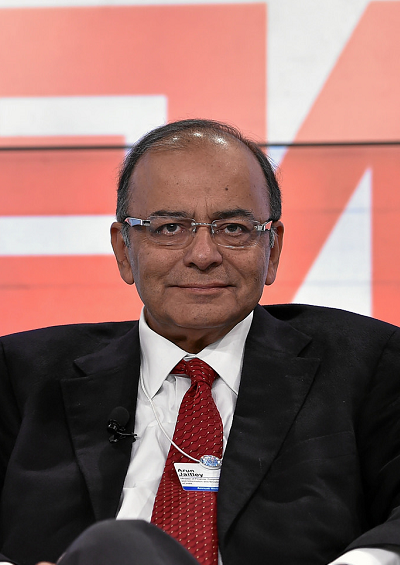 What must India’s Finance Minister do to get the overall government budget message right? To help the poor India, it is the small things - like stopping police harassment of street vendors - that count. The Indian government can improve the lives of many by “facilitating” employers to grow their businesses. The annual ritual of the government’s budget, due on February 28, with allocations of money in billions is just gobbledygook for the average citizen. What must Finance Minister Arun Jaitley, India’s second most powerful politician, do to get the overall message right? A budget theme of “open economy, markets and poverty reduction.” fits nicely with the “growth” expectations unleashed by Prime Minister Modi. Also, these are the three legs for equitable growth. Since 1991, an “Open Economy” policy stance has been consistently followed in external trade. The problem is, India has not benefited as much as our neighbors in East Asia. The fault is clearly our own. Our government has not seized opportunities overseas which could be dovetailed with domestic comparative advantage to make the economy part of global value chains. This becomes vital now if jobs are to be added in India. The real issue is what we must do next to “open” the economy to both domestic and international competition. 1. Linking markets physically by a first rate “infrastructure grid” – ports, roads, rail and electricity are key to creating a seamless national market. 2. A digitized “tax grid” that links national, state and local level tax systems to enhance revenues; the reduction of tax evasion and the reduction of the aggregate tax burden by avoiding “the pancaking of multiple autarchic taxes.” The ongoing Goods and Services Tax (GST) initiative barely scratches the surface. 3. Aggressive privatization of state-owned enterprises, including in arms and ammunition, as Modi has just announced. This can provide the required business momentum for competitiveness, assist in reaching fiscal deficit targets and benefit consumers. 4. Opening of hitherto closed domestic markets in land, legal and media services to foreign investment, except where considerations of national security exist. The Finance Minister could signal a second wave of liberalization and reform to follow up on the 1991 wave – focusing on supporting Indian business to reap the benefits of an open economy internationally. The BJP has always enjoyed the trust of business. Curiously, the party’s commitment to expand markets and competition is not deeply ingrained enough. Instead, there is a lingering fondness for using and growing the already vast powers of the state to bypass markets and to advance “fast-track” development in a top-down “Developmental State” mode. Mr. Jaitley must point out that renewable energy development, while a flagship project, is hampered by the disincentive of subsidized conventional energy supply. Allowing market prices to prevail for the retail energy supply is the first step to making renewable energy financeable. Similarly, realism on urbanization agendas is urgently needed. For orderly urbanization, the funds must be found within urban areas by rationalizing property and land tax and raising revenues by leasing government land areas for development to private developers. Using national tax resources for urbanization is a poor use of scarce resources. Cities in India, which on average are 50% richer than rural India, must finance themselves through user charges, local taxes and monetization of local government resources. There can be no free lunch for a city. The international consensus on poverty reduction is that strategies that allocate more resources for human development, livelihoods and private sector employment work best. India has lagged in enhancing budgetary allocations to education and health (including water and sanitation), as compared to any other growth-oriented sectors of the economy. If this logic is followed, the small and medium scale manufacturing sector, rather than mega projects, should be the focus for jobs and poverty reduction. We must avoid the trap of subverting the “growth” agenda into glitzy but sub-optimal “action” points. To grow jobs for the poor, it is the small things that count, like removing municipal and police harassment of street vendors, simplifying tax assessment processes and “problem solving” by getting local and state governments in growth mission mode. India’s economy consists of 10% of the workforce in the “large, formal” sector and 90% in the informal sector. The key dialectic of India is this: The lot of employees in India’s informal sector can only be improved by “facilitating” employers to grow their businesses.